How does the user leave planner work? If you go to Users → select user → Edit user → Leave planner you will be able to select the desired days off like sick days or holidays. Don't worry. If the users don’t work on those days, their performance won’t be affected. 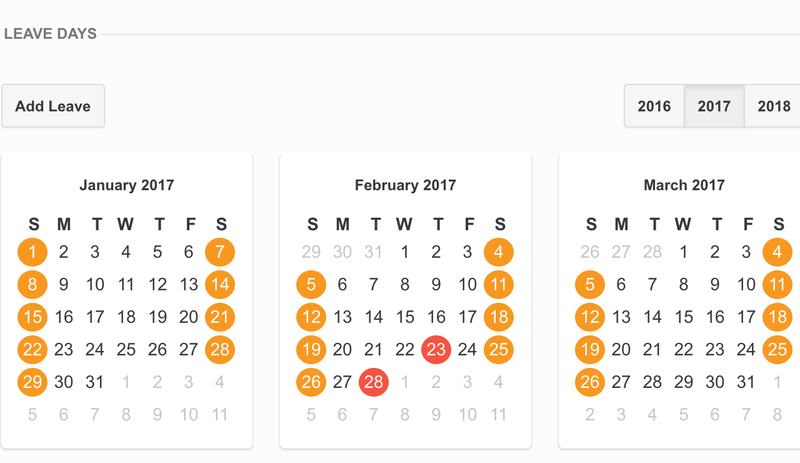 Users will see the non working days in the Timesheets section in a light grey color, so they can differentiate them from regular work days.